Former FBI agent Melissa “Mel” Cruz spent years skirting the line between life and death, knowing the next assignment might be her last. Back from overseas and eager to enjoy life outside the Bureau, she's ready to give Danny Talley a Christmas Eve he'll never forget. A proven asset in high stakes missions, Danny's known for having the skill and brains to get the job done. When the Talley Flag Ship is hijacked during the company holiday party, he’ll do anything to save his family, his love, and everything they’ve all worked so hard to build. But their enemies have a secondary protocol—leave no survivors—and that plan is already in play. Navigating through a tangled web of lies and betrayal, Mel and Danny race against the clock to retake the ship before their future goes up in flames. As the seconds tick down, they're forced to face their greatest fear—losing each other. Awww, that was really nice. I loved getting this little glimpse into Danny and Mel's relationship. While we've gotten to see them all along, it was awesome to see their thoughts and the flashbacks of what's happened behind the scenes with them throughout the series. If you've been reading the series (and if you're not, you totally should be because it's phenomenal), you will love this little insight. This is a great book just because everyone is present...and it's still dang suspenseful, which I wouldn't have thought was possible in the shorter format. 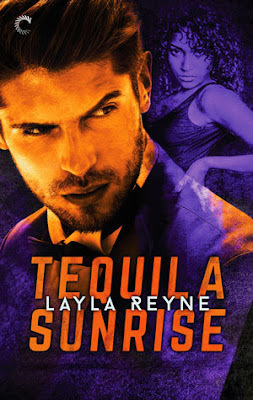 But Layla Reyne does it...she packs this story full of bite-your-nails tension as well as some really sweet moments in between Mel and Danny.